Puppy Socialisation the Kay9® Way! 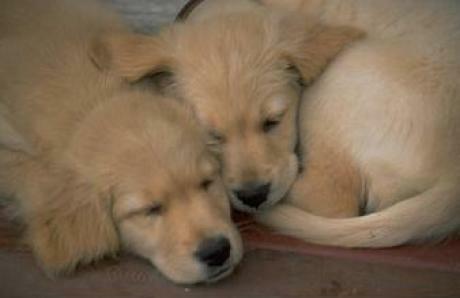 For the first few weeks of life, (even inside the womb), puppies are at their most influential age. They can learn very quickly during this time - good things along with bad. Early socialisation is an extremely important factor to ensure a balanced and well-adjusted adult dog. A puppy needs to learn how to interact with adults, children and other dogs (socialisation), as well as become used to everyday noises such as household appliances, traffic and town life. From birth till about 18 weeks of age, anything a puppy experiences will become part of its life. After that age, unfamiliar objects and experiences can cause a fearful response and could sometimes lead to aggression or other behaviour issues if they are not addressed. 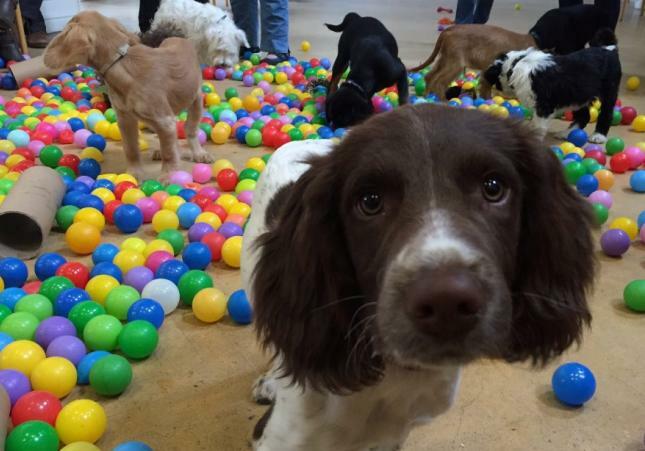 Attending Kay9 puppy socialisation sessions will give you the opportunity to introduce your puppy to a new environment, allowing socialisation and training in a safe and friendly environment, ensuring your puppy has positive associations with everything it experiences. But what is a Puppy Socialisation Session? A puppy socialisation session is a get ‘together’ for puppies and their owners and provides an opportunity for puppies to socialise with other puppies and people. Our aim is to keep your puppy calm within their presence , so that they don't learn to become over stimulated by them. Your puppy will learn how to mix with other dogs, strangers and generally have LOTS of fun, whilst at the same time; learn from its own kind - communication, i.e. body language, and facial expressions and generally how to play nicely and calmly! A trainer and behaviourist will be available to answer any queries you may have and explain your puppy’s behaviour to ensure that your puppy gets the best possible start in life. These sessions are very informative and your guaranteed to learn as much about your puppy as you can take in at one session! Where and when are Puppy Socialisation Sessions held? They are held where possible (other events permitting) predominantly at our venue at Kay9 Haven in Mytchett. 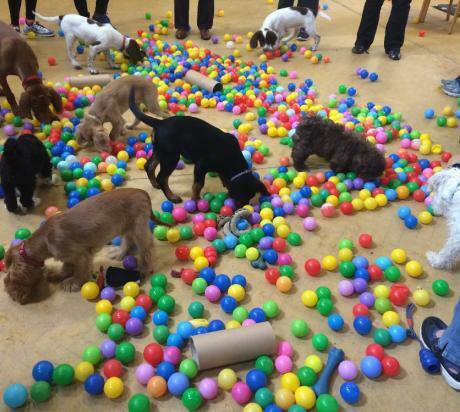 These sessions are for puppies up to 8 months of age. 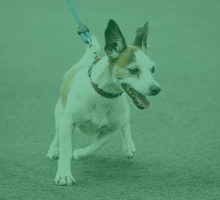 Older dogs should attend our adult dog social walks. The Mytchett venue is an outside venue and therefore weather dependant. When can my Puppy come? As soon as your puppy has their second injection of the primary vaccination course, they are eligible to attend the sessions. This is to minimise and protect from the risk of disease. You will need to bring along your vaccination certificate if we have not met your puppy before at one of our puppy services etc. In order to continue the training and socialisation throughout their growing stage, we run a 6 week Puppy Obedience course, which will help you teach your puppy the basics and a foundation on which to build. Training is extremely important for your puppy, not only so you can have a well behaved puppy, but for your puppy themselves to have the ability to listen, understand and follow your guidance. 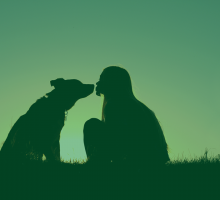 Behavioural problems can form part of the reasons why dogs are handed into rescue centres in this country and a large proportion of these behavioural problems could have been prevented with the correct socialisation. As well as providing your pet with the chance to learn how to play nicely, they will also become more confident in their surroundings and with other people. 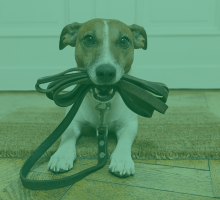 The classes provide some basic obedience and offer advice to help you to successfully house train your pup as well as stop their chewing and biting. The classes teach you how to groom, clip nails and clean teeth etc. They cover benefits of using crates for training and ideas on how to use interactive toys and treats. Classes also give you the opportunity to discuss any issues you may be having at home with training etc. Your puppy will need a well fitted collar and lead for the class as weather permitting, we will sometimes go for a short stroll outside, for some toilet training and walking on a lead. We look forward to welcoming you and your puppy to a Kay9 Socialisation Session!! We also have Puppy Social Walks from time to time. Walking as a group in a public area to increase your puppy's confidence in the outside world. Kay9 Staff members will be walking with you to ensure that this is a pleasant and rewarding experience for you and your puppy. A great opportunity for your puppy to experience a busy public area, roads, traffic and strangers that may approach. 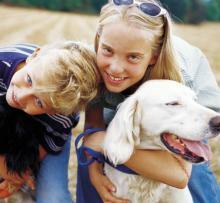 All in a controlled environment to ensure your puppy makes positive associations! Only £10.00 per puppy - Strictly bookings only for this event! Please see the website calendar for our next Puppy Social Walk!